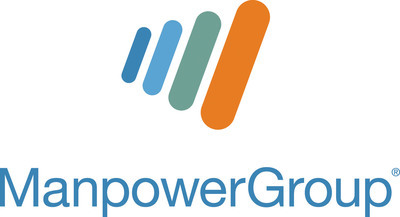 ManpowerGroup Named 2019 "Best Company to Work For Women" in the U.S. for the Second Year | ManpowerGroup Inc.
MILWAUKEE, Jan. 16, 2019 /PRNewswire/ -- ManpowerGroup (NYSE: MAN) has been named a 2019 "Best Company to Work for Women" in the U.S. by the Women's Choice Award®, a leading advocate for women across the country. ManpowerGroup is recognized for its company culture, commitment to career development, work-life balance and female representation at every level. "At a time when women make up 50% of the U.S. workforce and graduate at higher levels than men, being a great place for women to work isn't just the right thing to do, it makes business sense," said Becky Frankiewicz, President of ManpowerGroup North America. "Shifting from conversation to action is how we make equal access to meaningful work and leadership positions a reality. We believe the best way to build a diverse talent pipeline is to attract and promote more women and lose less. That's why it is a great honor to receive this Women's Choice Award recognition for being a company where women want to work, feel supported and can thrive." ManpowerGroup's report, Seven Steps to Conscious Inclusion: A Practical Guide to Accelerating More Women into Leadership, provides practical steps to accelerate organizations to achieve conscious inclusion where everyone is invited in and all opinions are valued. "Validation has never been more important than now and we take great pride in offering women an objective and uniformed reporting process so they can choose where to work with greater confidence," said Delia Passi, CEO and Founder of the Women's Choice Award. "We recognize that gender discrepancies are very real in the workplace, and considering women, multicultural and millennials represent 76% of the U.S. population, it's timely and important to engage and empower women to choose an organization that supports her values. Companies that carry the Women's Choice Award are celebrating their commitment to women and in this highly competitive marketplace that's smart business." The Women's Choice Award for Best Companies to Work For is the only award that reflects the needs and preferences of women based on publicly available data, which aligns with employee and consumer appreciation for corporate transparency. To download the full report on 7 Steps to Conscious Inclusion, visit Seven Steps to Conscious Inclusion: A Practical Guide to Accelerating More Women into Leadership.